February 6, 2018 — A record-breaking 2017 hurricane season that damaged popular cruise destinations and an icy winter that temporarily closed some airports caused many travelers to lose money. 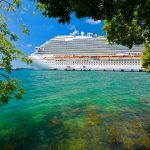 Now as cruise lines are offering their largest discounts of the year, known as ‘Wave Season’, cruisers are making their travel plans and hoping to protect their investment. Leading travel insurance comparison company, Squaremouth, explains how to avoid the four biggest mistakes that can make a policy worthless. Travel insurance only covers unexpected situations; once a hurricane or winter storm has been given a name, it’s too late for travel insurance. Expert Tip: While travel insurance can be bought up until the day before you leave for your trip, make sure to get your policy early if you’re worried about future weather issues, before a hurricane or winter storm is named. Travel insurance can cover expensive cruise ship medical costs unless the traveler is intoxicated. This is a common exclusion in most policies. Expert Tip: Travel insurance providers will not always know if travelers were drinking alcohol at the time of an injury or illness, however, providers will require documentation during the claims process, such as medical records or a police report. Travel insurance covers medical emergencies whether travelers are on the cruise ship or on land, including shore excursions. Some travelers may be aware that there are exclusions on dangerous activities such as bungee jumping or skydiving, but many travelers may not realize that a policy may exclude lower impact activities like kayaking or riding in a hot air balloon. Expert Tip: Look at the policy detail for each shore excursion you plan to participate in while on your cruise before you buy the policy. If the policy excludes the activity, choose another policy or consider getting the Hazardous Sports upgrade. Travelers may want to spend a few days at their Port of Departure before their cruise begins. Many travelers may assume they only need to get a policy for their cruise, but travel insurance is designed to cover travelers from doorstep to doorstep and does not allow coverage for only a portion of a trip. Expert Tip: Make sure to enter the date that you leave your home and the date you return home when getting a travel insurance quote. If your travel dates change, you can call your provider and have them update your travel dates. This modification to your policy can be made up until the day before you leave for your trip. If the possibility of cancelling a vacation is the traveler’s top concern, the only way to be sure they’ll get a portion of their money back is with the upgraded Cancel For Any Reason coverage. This upgrade refunds travelers 75% of their costs if they cancel for a reason not listed in their policy, as long as they insure all of their trip costs and cancel at least two days before they’re scheduled to leave. To search for travel insurance, compare policies and read customer reviews, visit squaremouth.com. Travelers can research and compare travel insurance policies from every major travel insurance provider. For more information about travel insurance coverage specifically for cruises, visit Squaremouth’s Cruise Travel Insurance Information Center.